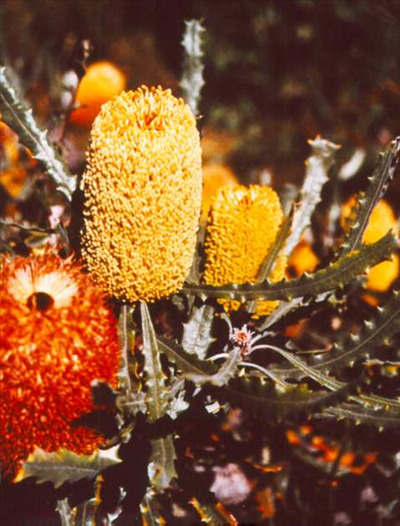 Ornamental multi-stemmed banksia with pendant, bright yellow flowers appearing in winter-spring-summer. (Lignotuberous) Suitable for well-drained light to heavy soils in partial shade to full sun. Grows well inland as it grows naturally in semi-arid areas in Western Australia. Frost and drought tolerant. Excellent for container plant or embankment plantings.